Tip #1: Avoid traveling by air. Airplanes are usually the most expensive mode of transport. If ‘time’ is not a big issue for you, try to travel by other means, such as bus, train, or boat. 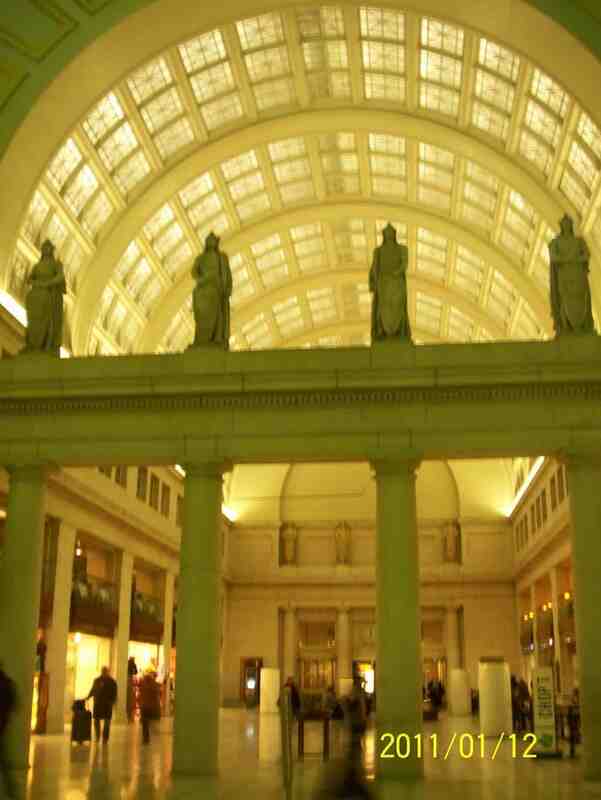 When I lived in New York City, I made trips to Boston and Washington, DC. Instead of airplanes, I opted for long distance bus providers, e.g., MegaBus and BoltBus. They take longer to get to the destination, but on the other hand, they are much more economical. Tip #2: If you have to travel by air, check out low-cost airlines. For short-haul flights, I greatly recommend you looking into low-cost airlines that operate in your country. They might not be as comfortable as regular airlines, but they are a great option for saving both your time and money. Some popular budget airlines include WestJet, EasyJet, Southwest Airlines, AirAsia, Tigerair, Jetstar and Skymark Airlines. Prior to booking, make sure you check out their policies. Most airlines charge extra if you want to check-in luggage, reserve seat, purchase in-flight meal, or change your booking. Tip #4: Get around with public transport. I rarely take taxi when I travel. The only occasions I ride a taxi are 1) when public transport is out of service (such as midnight), 2) when I travel with large luggage, 3) when it is unsafe to take public transport, 4) when I can share a ride with friends, 5) when it’s pouring and I am extremely lost. Haha, that seems like most of time. Trust me, it really doesn’t happen that often 😛 Transportation expenses make up a considerable part of your travel budget, making use of the public transport (e.g., bus, subway, train) can help you minimize the costs to a great extent. Remember to check if the public transport system in the city offers any day pass or weekly pass. That is another way to bring the cost down! 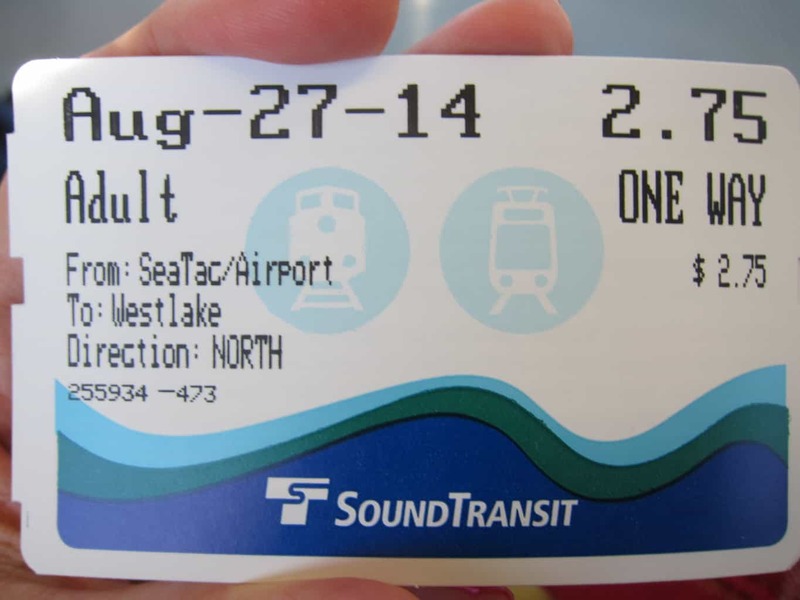 On our recent trip to Seattle, we took the light rail from SeaTac Airport to downtown Seattle. Compared to a taxi ride (which normally costs about USD$40-50). the ride only costs us USD$2.75 per person. Isn’t that super economical? Tip #6: Take advantages of discount dining events such as Restaurant Weeks. If you are interested in fine dining restaurants, it is your chance to try some out at the annual culinary celebration hosted in many major cities across North America. There are various names for this type of events- in NYC, it is called Restaurant Week, held twice a year; in Boston and Vancouver, people called it Dine Out; and in Toronto, it receives a fancier name, Winterlicious. Throughout the period of the event, participating restaurants offer prix-fixe lunches and dinners, which is a perfect opportunity to enjoy high quality meal at an exceptional value. Next time, prior to your trip, check online if there is such an event in the city you’re traveling to. If you happen to visit the city during the event and you find a restaurant you would like to dine in, don’t forget to make reservation online! Some big name restaurants offer seasonal prix fixe meals at bargain prices. 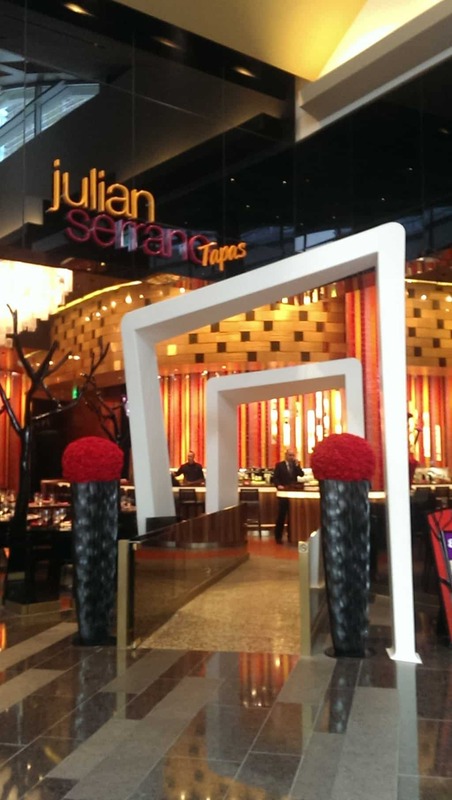 Kev and I dined at Julian Serrano when we visited Las Vegas. Their 3-course lunch is only USD$19 per person. What a steal! Tip #7: Make use of discount tickets and coupons for attraction sites. Admission tickets can add up to a great amount. In today’s digital world, you can conveniently download free apps that provide special passes or discounts onto your mobile device. If you’re visiting North America, check out CityPASS, which currently offers savings on entrance tickets to tourist attractions in 11 major cities. One insider info for theatergoers in NYC: look into rush, lottery, and standing-room ticket policies for the broadway shows you’d like to watch. It has helped me save soooo much money on show tickets! Tip #8: Search for cheap tour and travel packages. 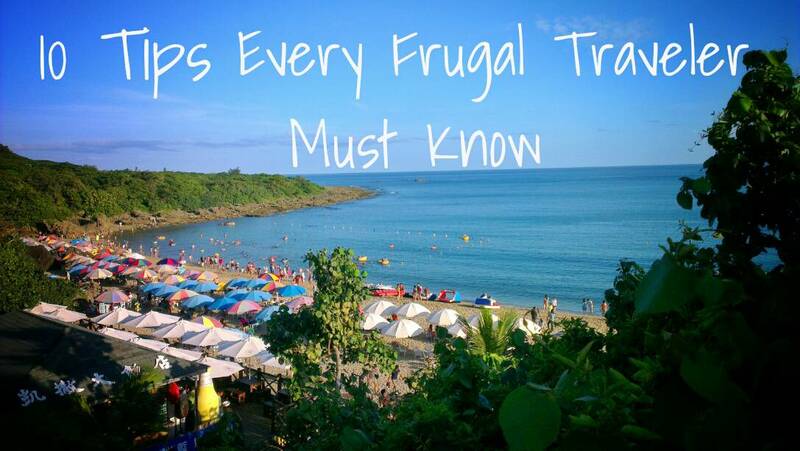 Comparing prices and creating your own travel itinerary can be tedious and time-consuming. There’s one solution to the problem, let the travel agencies do the work for you. Sometimes they offer low-rate vacation packages and guided tour deals. My mom always joins Taiwanese guided tours whenever she travels to new places. The guide takes care of everything- flight, accommodation, food, sightseeing…etc. Downside to that- you have to follow their schedule and most of the time, they bring you to stores and persuade you to purchase over-priced, low quality goods. (The guides earn commission based on the revenue they bring in) Don’t let them sway you. Remember, you have the right not to buy anything. Kev and I traveled to Okinawa, Japan in 2012. Neither of us speak Japanese, nor do we dare to drive in Japan. So we decided to join a Taiwanese tour group. It turned out to be a great experience! Tip #9: Hotel? Nah, a friend’s place is cozier. If you have friends around the world, good for you! Not only can you reunite with your friends, staying at their house can save you big bucks. Be a good guest- bring gifts to show your appreciation, clean up after yourself, and treat your friend a nice meal! Tip #10: Stay at a hostel or bed & breakfast. Don’t have friends around the world? That’s okay. When I was a student, I love staying at hostels. The room is much cheaper. 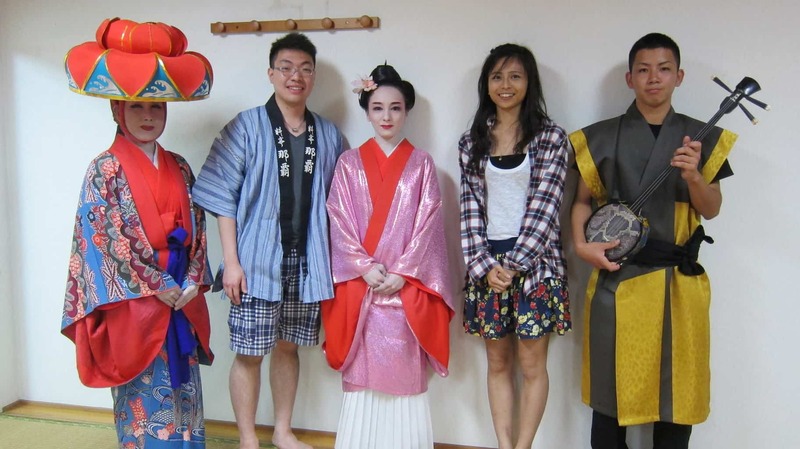 On top of that, it is also a great way to meet people from different countries. Back in the days, when I was traveling alone, I used to stay with Hostelling International, which has more than 4,000 hostels worldwide. Now, I am traveling with Kev, we love staying at various bed & breakfast. You get to connect with the locals (i.e. 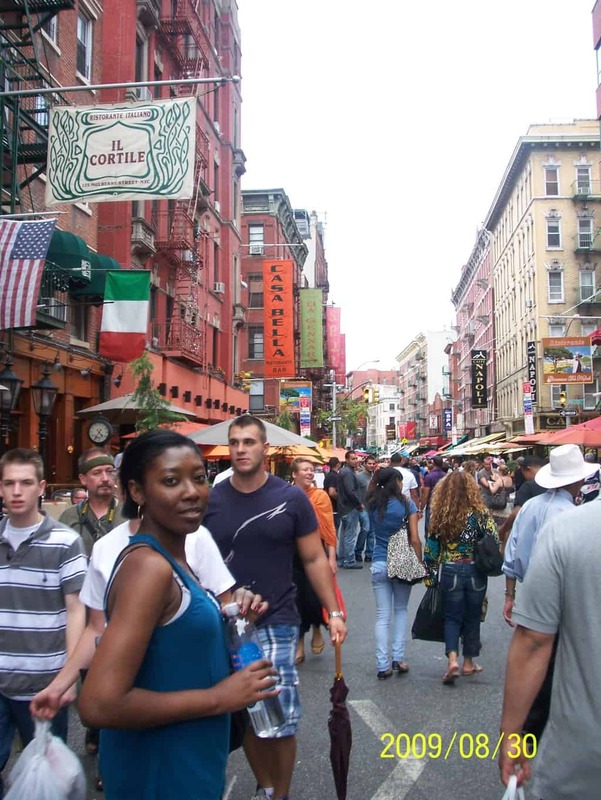 the hosts) and get to explore local neighborhoods. Airbnb is a great platform to rent a room from local hosts. Not sure if you’ll like the place? Read how other visitors rated that place in the reviews. Taiwan has abundant bed & breakfast accommodations. 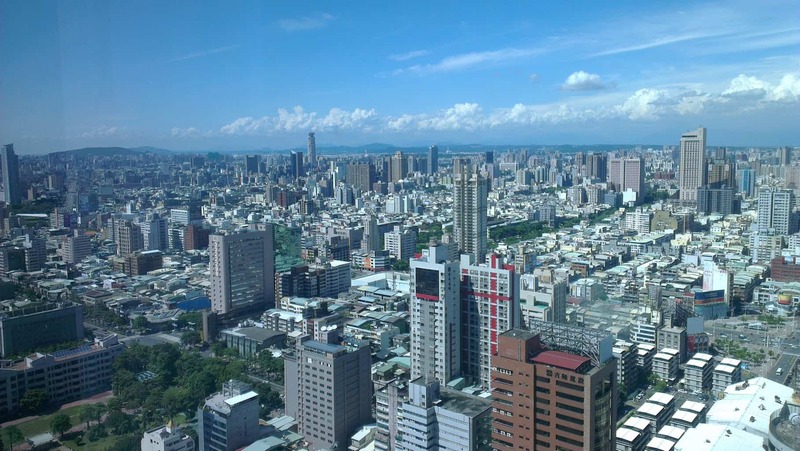 Kev and I rented a room at 85 Sky Tower when we visited Kaohsiung, the city in Southern Taiwan. 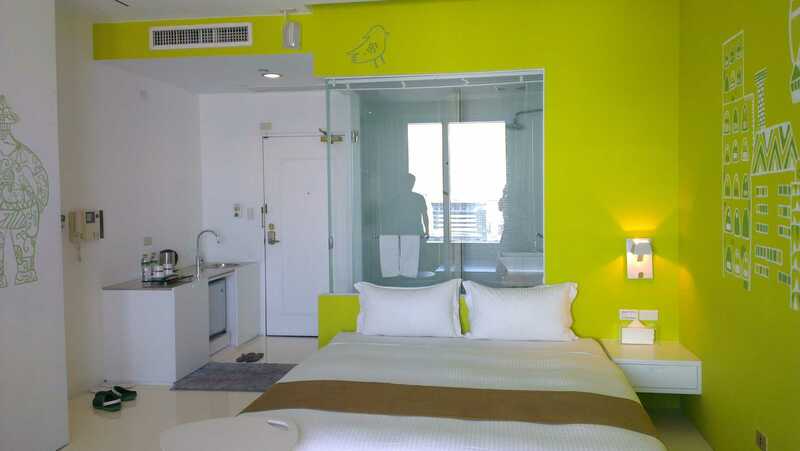 The room was spacious, clean and modernly furnished. More importantly, the view was spectacular. One night for only about NT$1500 (CDN$50)!! Looking out from the room at 85 Sky Tower. Gorgeous city view! This post is shared as part of the #WeekendWanderlust linkup. Special thanks to Outbound Adventurer and other co-hosts for hosting the events. For more travel posts, please click on the image below~ Have a lovely weekend, everyone! Some great tips here! Didn’t know urbanspoon yet, will definitely try it out! I am also big on food so I seek out restaurant weeks and food trucks. I also check out livingsocial deals before I go to a new city to see if there are any restaurant deals. ALSO I LOVE food tours and will usually splurge on those, but if I am short on time or money I will research restaurants/food shops food tours go and locals recommend and make my own food tour! Thanks for sharing, Katie! I haven’t tried food tours before, that will be on my to-do list next time I visit a new city ? Great tips! I’ve heard such good things about AirBnB, I have to try it out on my next trip. Definitely! I tried AirBnB for the first time and already fell in love with it. Quite an economical option for accommodations! Another great food event in Toronto is Veggielicious – it is the vegan version of Winterlicious! Similar idea – fixed price menus for cheaper prices – only all vegetarian 🙂 It’s every November! Thanks so much for all of the awesome tips. Thanks for sharing, Lauren! That’s very interesting. Very thoughtful event for vegetarians! I really need to visit Toronto again. I’ve heard so much about how fantastic the food is over there! ? These are some great tips. I pretty much exclusively stay in hostels, and I love street food and eating where the locals eat. Staying at hostels is pretty fun! Especially that most hostels have social events every night, which is a great way to make friends. Those are great travel tips. I rather have a meal at a restaurant off the beaten path then at a fancy restaurant. Sometimes those meals are better and of course cheaper. Thanks for linking up to #WeekendWanderlust this week. Totally agree! I always like to wander off to local neighborhoods and sometimes accidentally found some hidden gems ? yeah! its interesting in reading. Amazing articles you wrote. love to read these again.